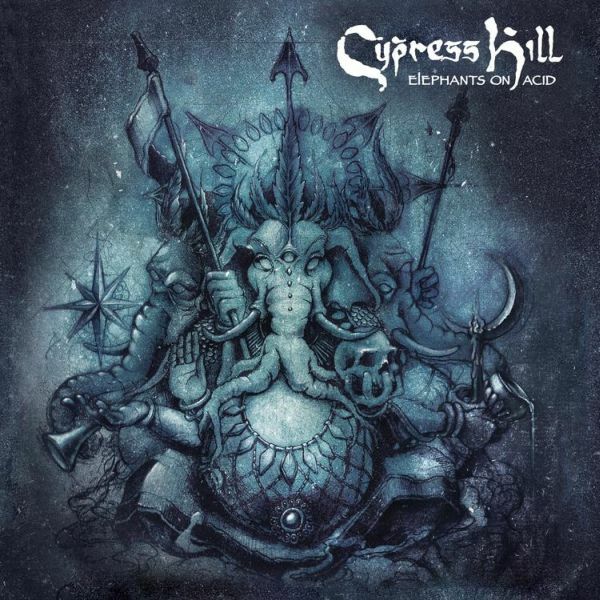 CYPRESS HILL - ELEPHANTS ON ACID (CD) | Online Shop | Wizard LTD. Album: "ELEPHANTS ON ACID (CD)"
Titled Elephants On Acid, the album will be released September 28th and marks the group&apos;s first full-length project in eight years and kickstarts their newly inked partnership with BMG. "Anything can happen when Muggs, B-Real, and myself get together to record," explained Sen Dog. "We were kids when we first got together. We’ve grown up as men now, but the chemistry is still the same. When we first came out in the nineties, we sounded like nobody else; we sounded like ourselves. This is another continuation". B-Real added" "The album is both a trip back to the roots and an escape into a completely new world." According to a press release the album is "comprised of a 21-track-interlude mix and plays out like a rap odyssey around the world, through other dimensions, and back to the hood." After dreaming of an out-of-body experience as a man with an elephant head, Muggs commenced collating possible ideas for a new record at a time when he was crafting beats around the world, recording in Egypt between spending time alone in King Solomon’s Tomb, making beats in Jordan after floating in the Dead Sea, and experiencing Joshua Tree with third eye wide open. B-Real and Sen Dog then added their respective truths via one hard-hitting verse after another.